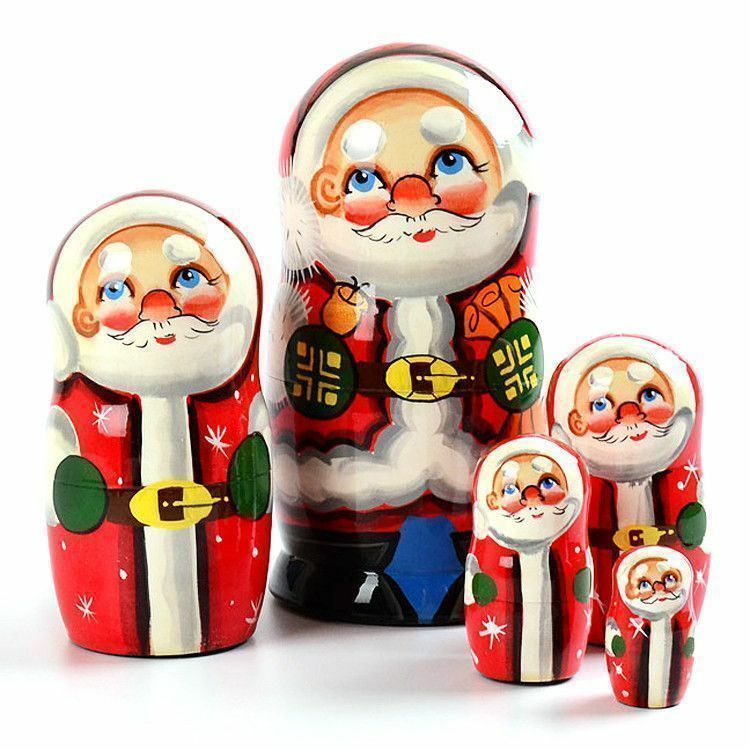 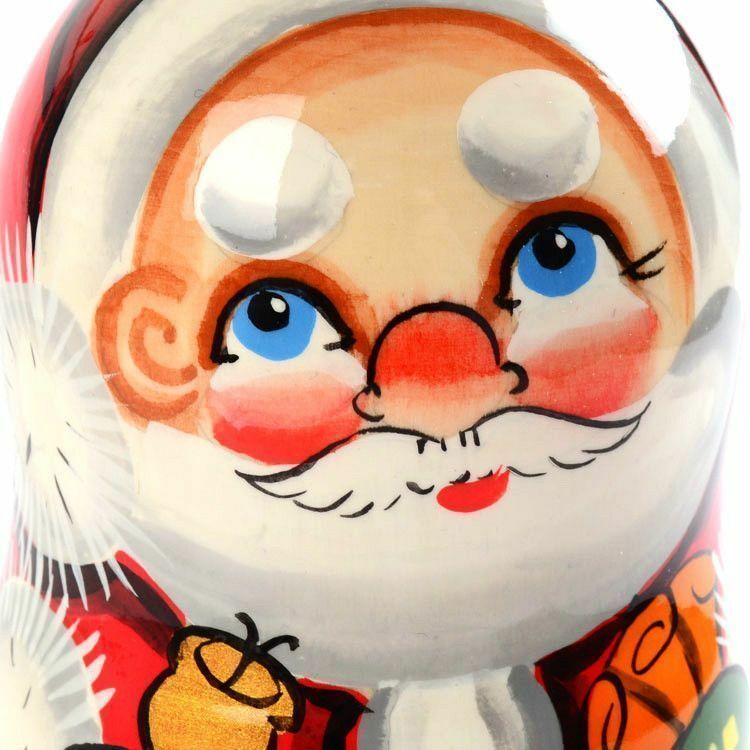 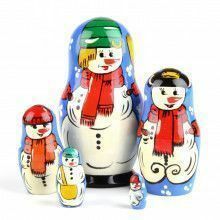 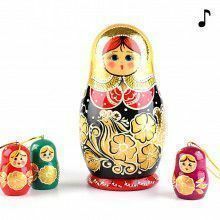 Santa Claus is coming to town in a very unique way... on an authentic Russian nesting doll! 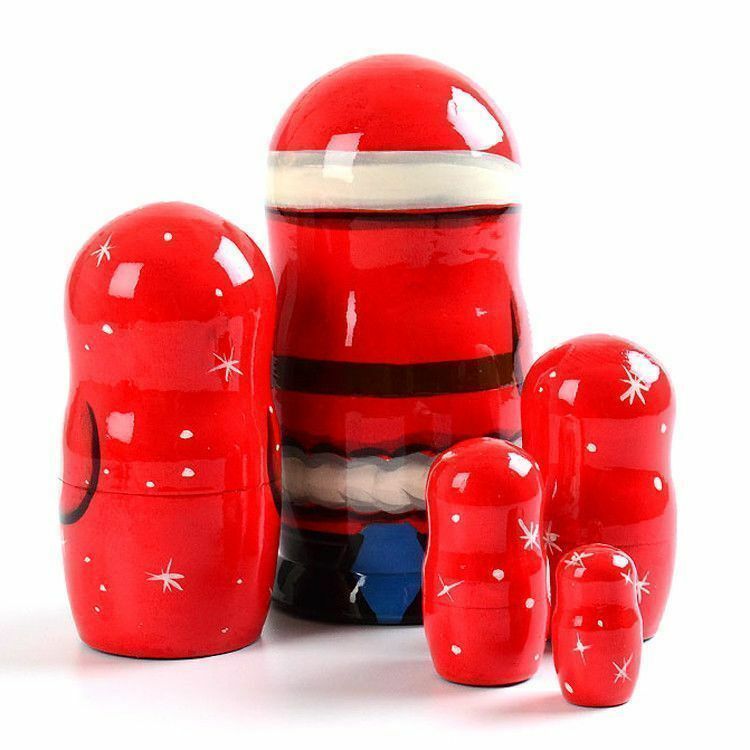 This 6" x 3" handmade wooden doll was painted with vibrant colors before being gloss finished. 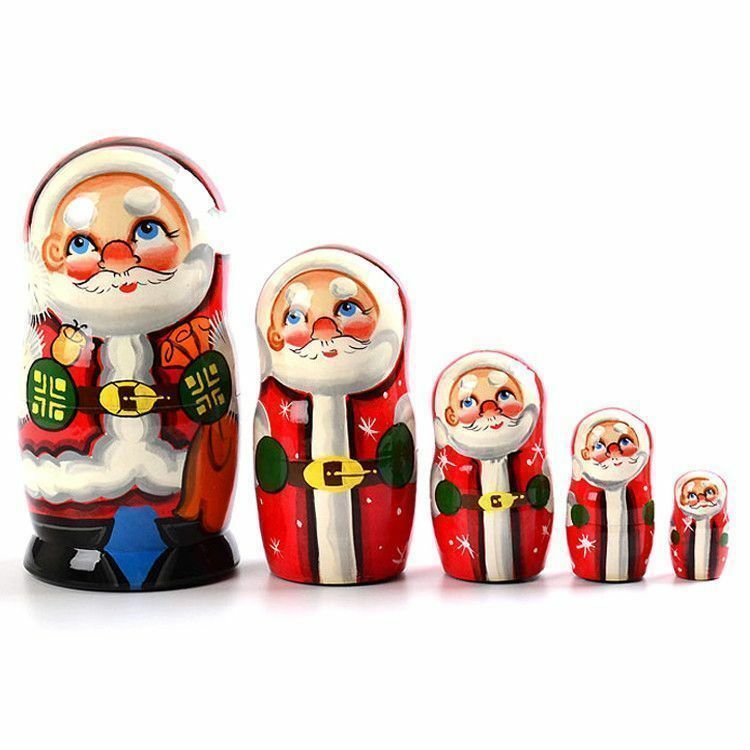 It has 5 dolls (or 5 Santa Clauses) total. 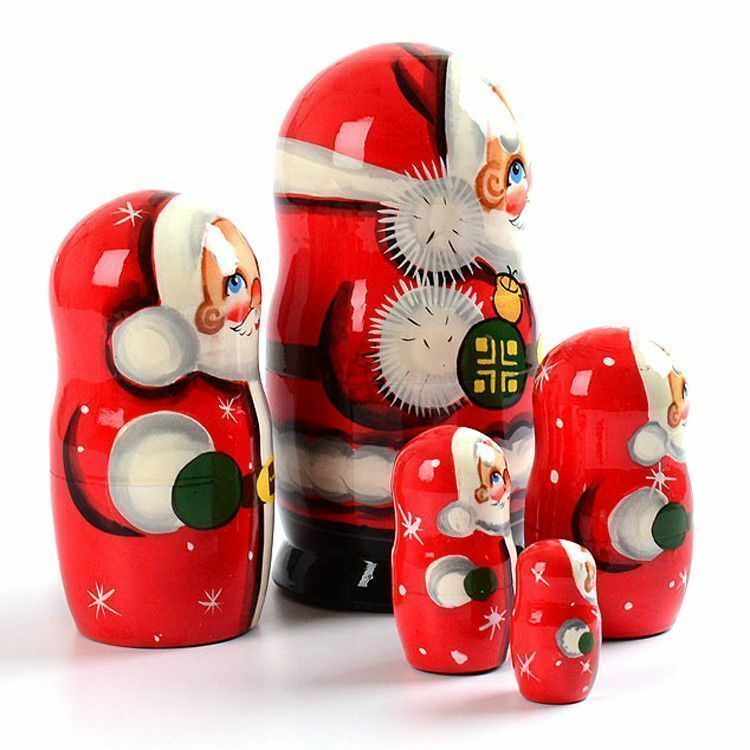 What an interesting Christmas gift! 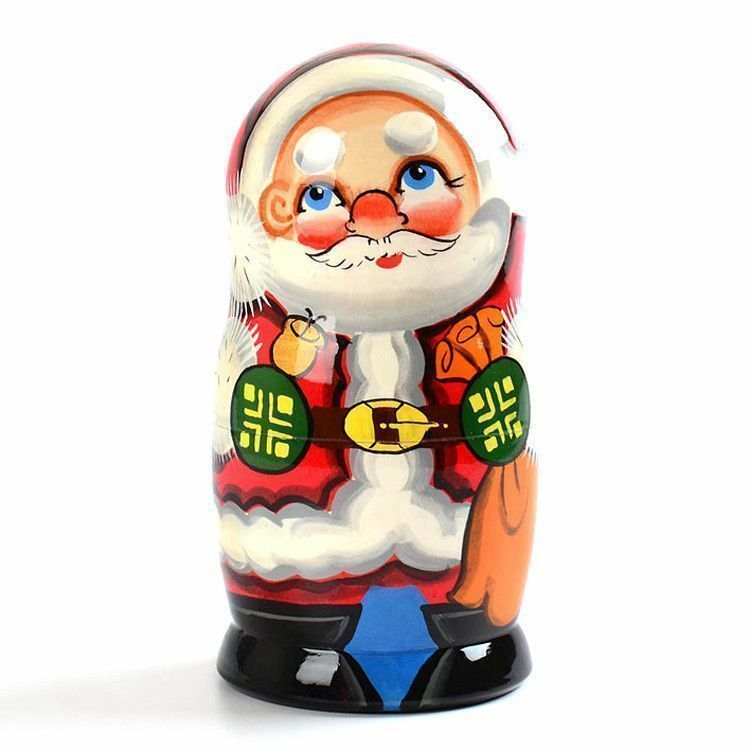 Happy Holidays from Russia with love.